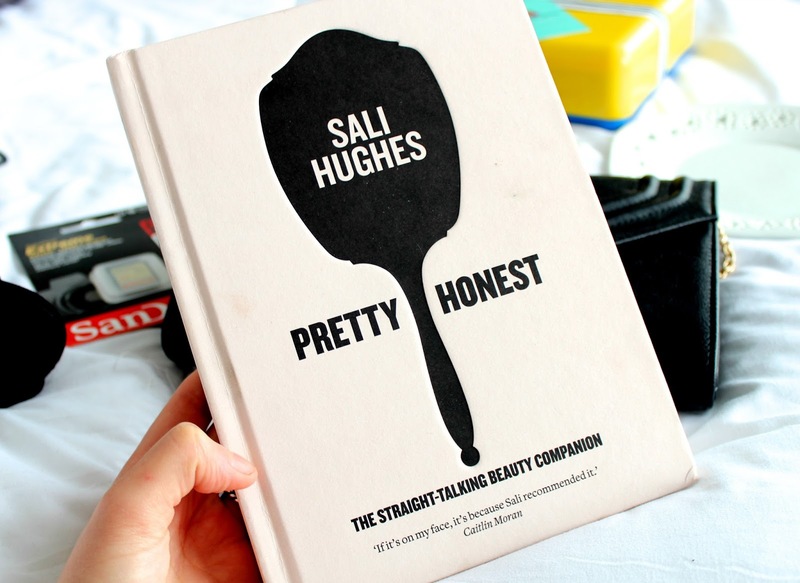 I'm a bit of a sucker for blogger hype so when I saw every blogger and their dog talking about the book 'Pretty Honest' from beauty journalist Sali Hughes I just knew it had to be mine. Other than being super pretty on the exterior and all about one of my favourite things, its also very well written and informative. I pretty much already know most of the things sally covers in the book (skincare routines, makeup essentials, shopping at makeup counters etc) but even so, I'm still thoroughly enjoying it thanks so Sali's witty writing style. I have laughed out loud a fair few times now! A great book for all beauty lovers I'd say, especially those just starting out who need a helping hand with the basics! Sally's got everything you can think of covered! My boyfriend very kindly bought me the Breville Blend Active blender so I can make myself so healthy homemade smoothies, something I've always wanted to do. With this being said, I need some inspiration and that's where this 'The Smoothie Recipe Book' comes into play. I spotted this on Amazon for around a fiver which I thought was a complete bargain and although I wasn't expecting much for that price, its actually very good. It has smoothie recipes for all kinds of things - breakfast, energy or weight loss to name a few. I can't wait to give some of them a try - I might even be brave and try a 'green' smoothie. Wish me luck! As someone who is forever spending my free time taking photos for my blog, you'd think I'd own the basics by now. Well. no, I like to make things difficult for myself. For the past two years, I've been using a 2GB memory card in my camera which can hold no more than a couple of hundred pictures. As you can imagine, I take more than that in one blog photography sesh so it was becoming quite tiresome having to keep deleting images. 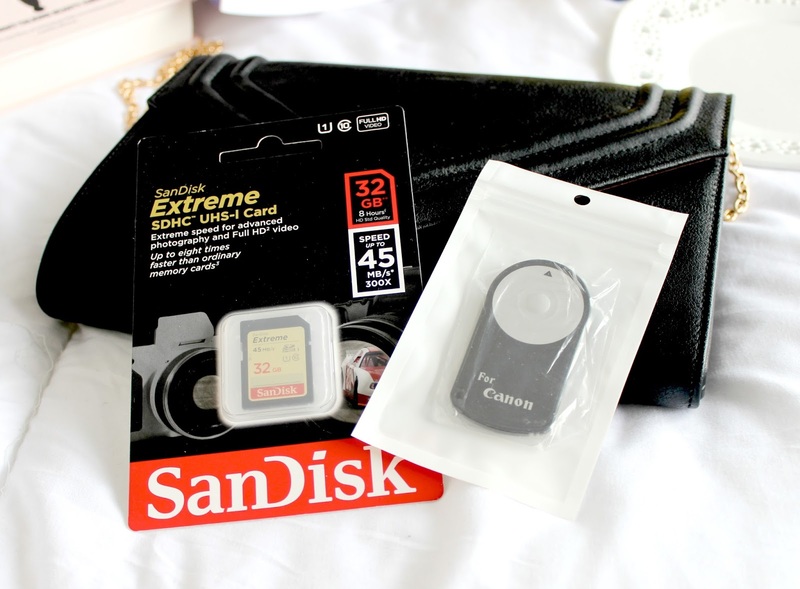 That's where this SanDisk 32GB Extreme bad boy comes into play - it can hold thousands of images and film videos in HD. Winning! To go alongside it, I also bought a Canon camera remote which will come in handy if I ever decide to film a YouTube video. I will get round to doing it one day, I promise! Yep, I bought a plate. This highlights how random my purchases often are but I did have reason behind this one, I promise. When taking blog photos I like to add something to them to make them a little more interesting. Be it a candle, flowers or some pretty nicks naks, you'll notice than most of my photos have some kind of 'prop' in them. Getting slightly bored of my current set up, I decided to head to Amazon to hunt down some bits and bobs I can use as blog photography accessories. I found this plate which is supposedly a Yankee candle tray (no idea?!) and just loved the cute love hearts design. I've already used this in a few photos I've taken and it looks really cute with something place in the centre. When its not being used as a prop, I'm keeping some of my perfumes on it. I'm sure you'll see it crop up in future posts! This year is all about healthy eating for me and although I'll always have my bad days and naughty foods (who can resist a dominoes, lets face it! ), I want to try my absoloute best to be healthy 80% of the time. Part of this means taking homemade meals to work for my lunch but I realised I was lacking in tupperware to store my meals in. I'm a big fan of the brand Happy Jackson and when I spotted this lunch box on Amazon (yes, I spend a lot of time on Amazon okay), I just had to have it. 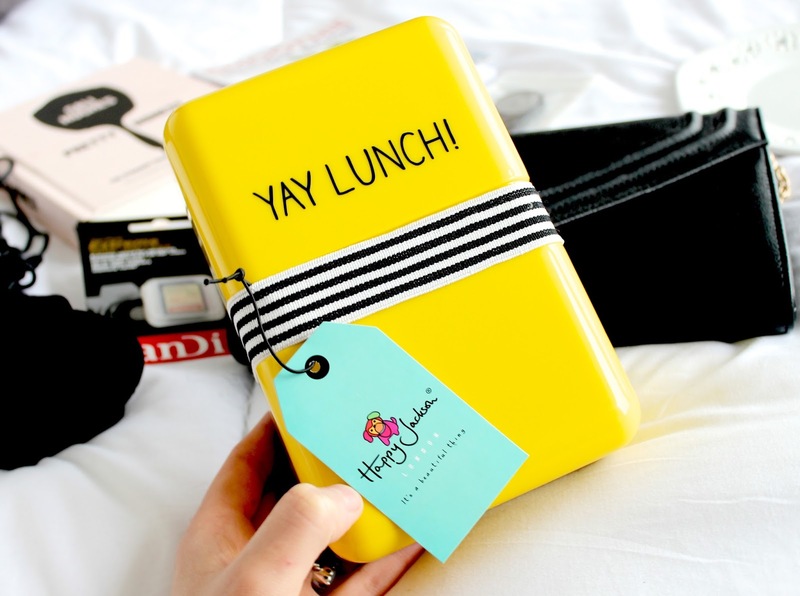 If anything is going to make the prospect of eating a salad more appealing, its this bright yellow lunchbox with 'YAY LUNCH!' wrote on the front. I mean come on, how cute?! I always use clutch bags when I go on nights out and as much as I love them, they sometimes bug me because they have no strap and when I'm attempting to juggle a bag, drink and lipstick re-application after a few vinos, things can get messy! 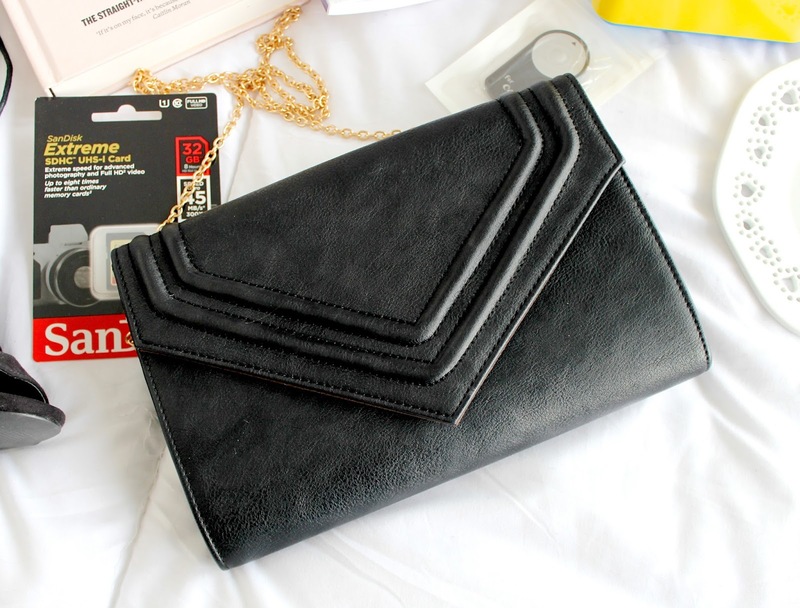 I spotted this pretty clutch bag on Missguided just before Christmas and I thought it'd be perfect - its big enough to fit all my essentials in, plain black so it goes with everything and it has a thin gold chain strap so I can have it hanging over my shoulder. However, the strap also comes off if you prefer a standard clutch. I've been using this on all of my recent nights out and absolutely love it! Hello shoes dreams are made of. After spotting these 'Valentina' heels on some of my favourite bloggers Instagram accounts a few months ago, I just knew I had to have them. It was love at first sight. It seems lots of people feel the same way as every time I tried to buy them before Christmas, they were sold out. However, after lots of checking to see if they were back in stock I struck gold and managed to get my hands on them just before New Year's Eve. I did plan to wear them on NYE with an LBD but had a last minute change of outfit and didn't get round to wearing them. I'm actually planning to wear them tonight for the first time and I cannot wait - they're my favourite shoes ever, ever, ever. So there's some of my recent none beauty purchases. I hope you enjoyed seeing what I've been buying and have perhaps got some inspiration for your own purchases! Lovely bits & bobs <3 Really liking the sound of the pretty honest book and that lunch box is just adorbs! Great buys! I've got that 'YAY LUNCH' box in pink! 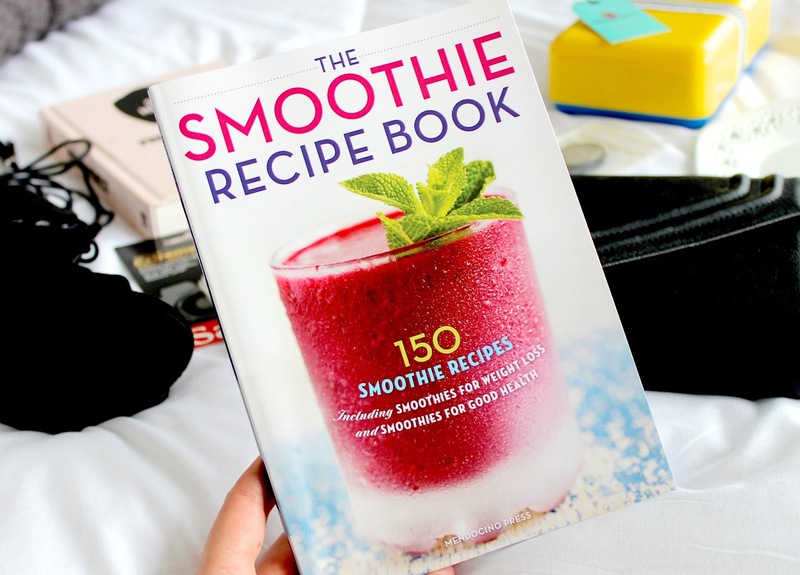 :) I'm liking the look of that smoothie book! THEM shoes! I swear hearts popped out of my eyes when I saw them, stunning! Those shoes are dynamite, (insert heart emoji). Nice collections of new things! I love this clutch! Nice collections! I love this clutch and shoes! Very beautiful! 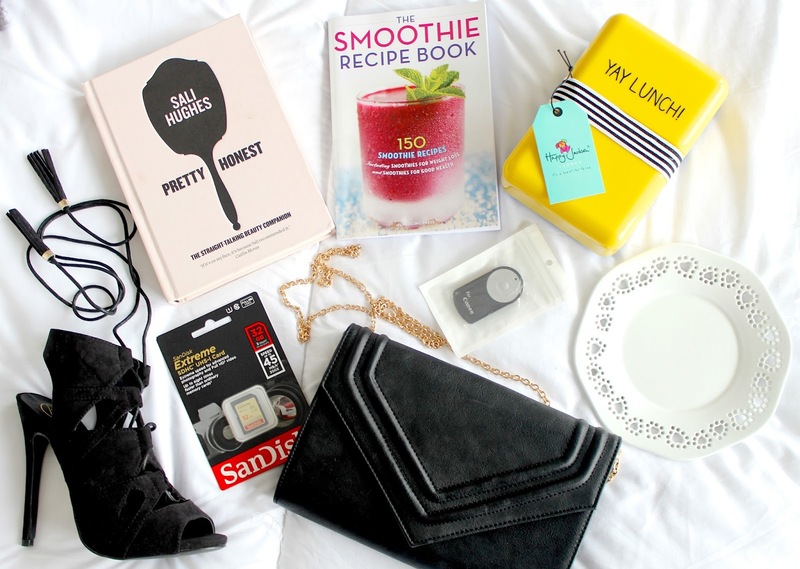 that lunchbox is so cute- YAY! I've just got into smoothies and am obsessed with all the different combinations. Gorgeous shoes too! Great purchases, need to get myself a bigger memory card too! Awe that lunch box and plate are so cute! That lunch box is too cute for words! I'm gonna have to purchase it! I need that smoothie recipe book, I'm always looking for inspiration to make the tastiest smoothies. Those shoes are also drop dead gorgeous! There are so many cute things here! Non-beauty hauls are the best. Love these hauls, you have got so much cool stuff recentlY! The YayLunch journal looks awesome! I loveeee that plate and lunchbox! I love these hauls, Pretty Honest is such an amazing book! The beauty book seems like a really good read :) & the plate looks really lovely. It's going to look great in blog photographs! I'm currently reading Pretty Honest as well and I love it so far! And that plate is so cute! 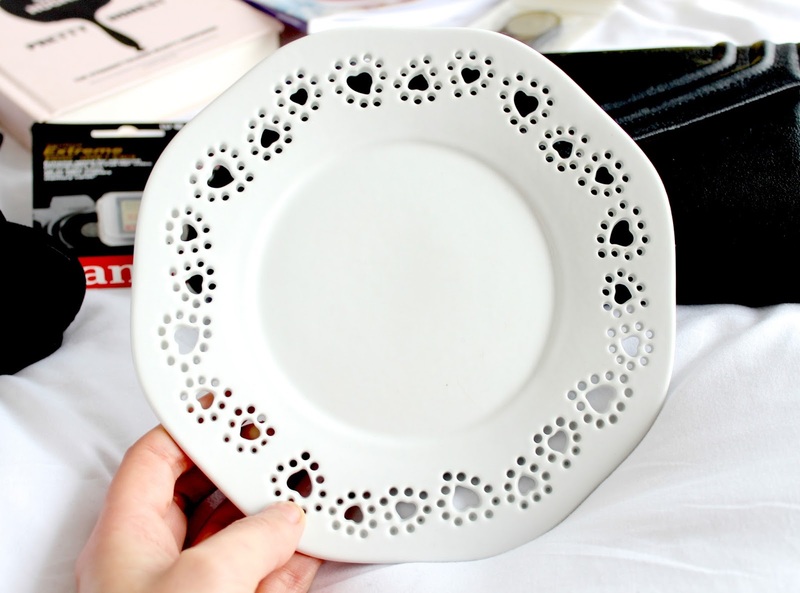 I always look at decorative dishes for blog photos! I bought the Breville Blend Active a few weeks ago and I'm loving how easy it is to make smoothies! That lunch box is so cute, it would definitely brighten up anyone's day at work! that lunch box is adorable!! I've seen that candle tray in the Yankee Candle store before :) You can buy a matching lamp shade it's so pretty! The lunch box is so cute! I ant all of these especially the first book. I've been looking for a small lunch box and this one is so cute that I might have to go and purchase it. I may also may also have to buy the smoothie book as I have just started having them for breakfast and would be good to have some recipes. that lunch box is the bomb, really want to read that pretty honest, looks amazing! The little plate is so cute! the shoes are amazing! I am thinking about buying a pair by missguided... are they comfortable? and worth?